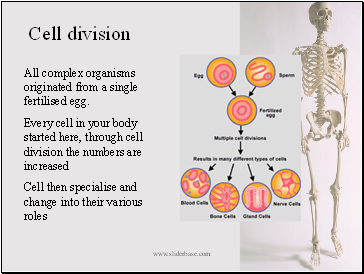 All complex organisms originated from a single fertilised egg. 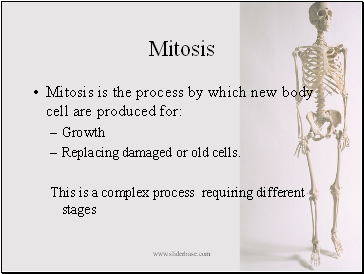 Replacing damaged or old cells. 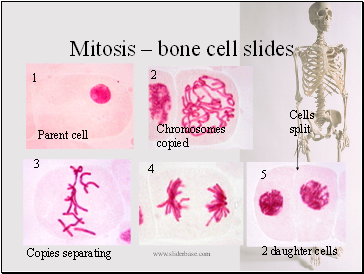 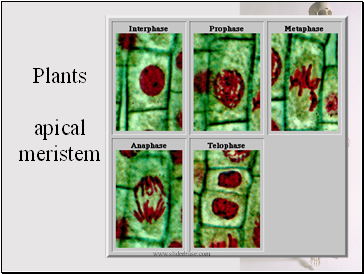 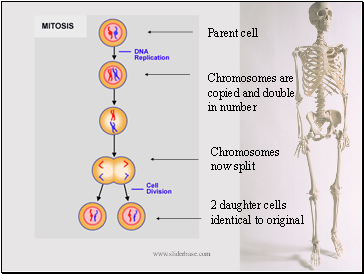 All daughter cells contain the same genetic information from the original parent cell from which it was copied. 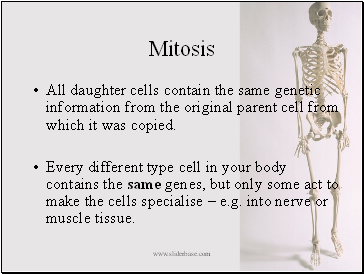 Every different type cell in your body contains the same genes, but only some act to make the cells specialise – e.g. 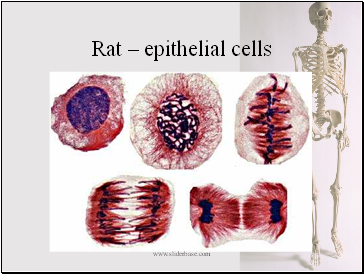 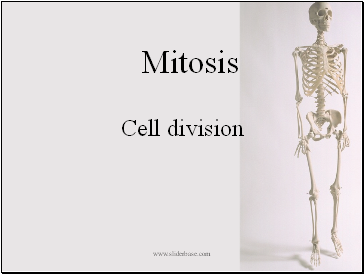 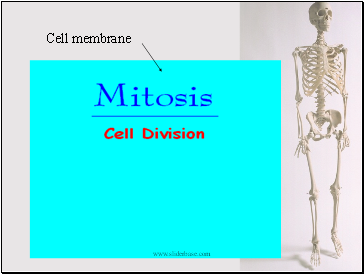 into nerve or muscle tissue.